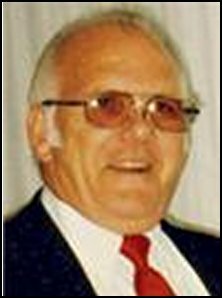 James Edward Flaherty passed away in Lodi on February 14, 2011 at the age of 81. Born in Jamestown, North Dakota to Edward and Anna Flaherty, James lived the past 55 years in Lodi. James worked for 32 years at General Mills, retiring in 1989. He was active in many community and charitable endeavors. Together with his late wife Julia, he was a lifetime member of the Eagles Lodge #848 in Lodi, where he served for many years as trustee, secretary and as Honorary President of the Lodge. His beloved wife of 60 years, Julia Flaherty, and a granddaughter precede him in death. He is survived by his sons Daniel Lee Flaherty, Jonathan Wayne Flaherty, and Jeffrey Lynn Flaherty all of Lodi, daughter Sandra Kay Meyers (Gary) of Lodi, 8 grandchildren, 4 great-grandchildren, 3 step-grandchildren and 8 step-great grandchildren. James is also survived by his siblings Ann Maier, Donald Flaherty (Lena), and Colleen Mosbacher (William) of Lodi, as well as Joyce Giezler (Tony) of WA; Mary Derby (Donald) of Oregon; and Gerry Flaherty (Theresa) of Texas, and by seven of Julia's brothers and sisters and their spouses. Funeral services were held at 10 00 am on Friday, February 18, 2011 at the Evergreen Chapel at Cherokee Memorial Park, hwy 99 at E. Harney Lane in Lodi, Visitation took place from 4-8 pm on Thursday, February 17, 2011, at Cherokee Memorial Funeral Home 831 Industrial Way (near Beckman Rd.) Lodi. Memorial contributions may be sent to the Lodi Eagles Lodge #848, P O. Box 2575, Lodi, CA 95241.